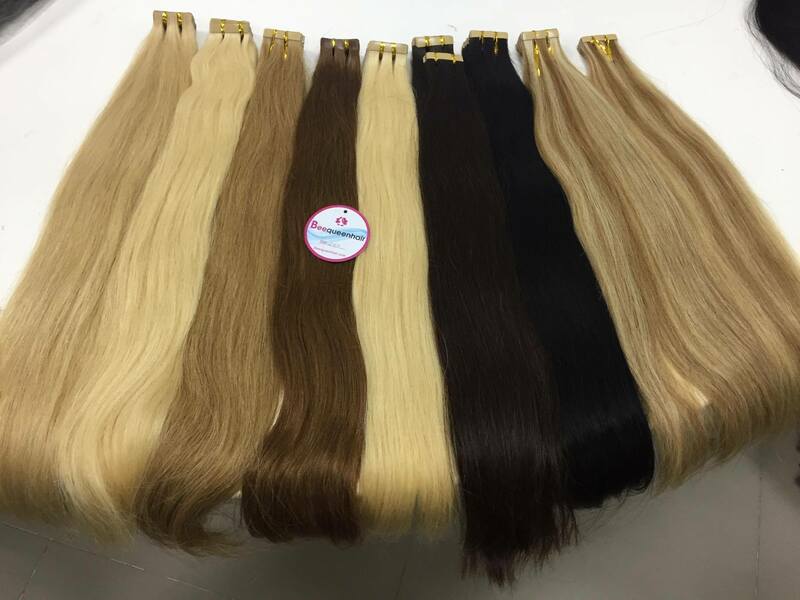 Cost: Tape in Vietnam hair extensions are the least expensive semi-permanent hair extensions method available for both the cost of hair and the application. Why? Tape-in Vietnam hair only takes less than an hour to apply so that makes the application costs much lower. The construction of tape extensions are 1 inch panels of hair, they are easier to make than the individual extensions. Low Maintenance: Tape in Vietnam hair extensions is the easiest hair extension method to maintain due to their thin construction. Most actually forget that they are wearing tape in extensions because they are just that easy to maintain. Least Damaging: Tape-in Vietnam hair extensions is the least damaging on the market. 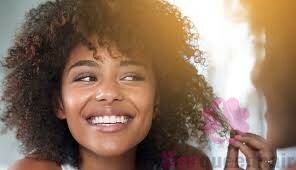 They are very lightweight and do not pull on your own hair like other extensions do – they grow out with your own hair and do not tug or pull. Unlike clip-in extensions are actually VERY heavy and will cause bald spots if you wear them every day. Tape in hair extensions are non-damaging and very easy to remove. This is the goal of hair extensions – damage free and comfortable! Once you remove the tape extensions you clean them, add new tape, and then re-apply them. That is why getting high quality Vietnam hair extensions help you do it. Individual extensions are not reusable and clip extensions tend to get worn out within a matter of 6 months (depending on your wear and use).